The Aqua Clear® line, also a silicone hydrogel lens, allows you to wear the lenses for up to 6 nights and 7 days. 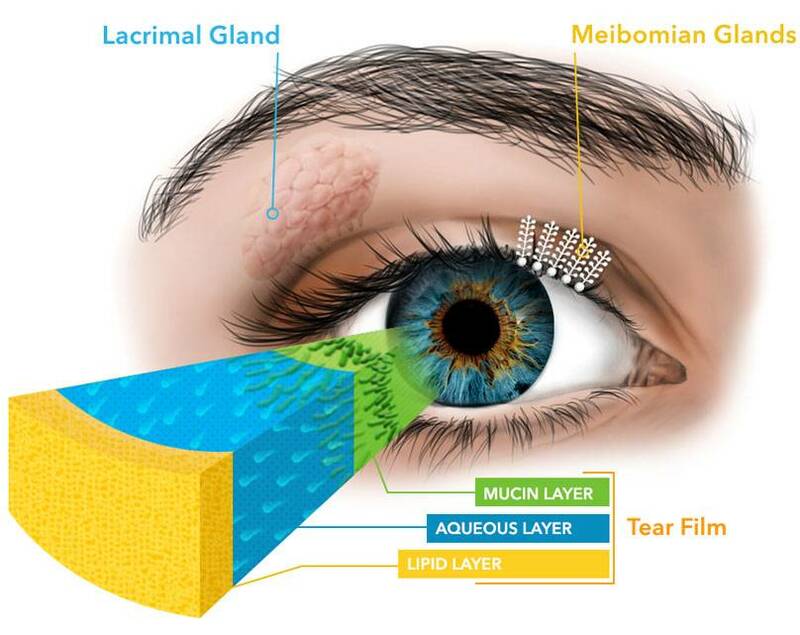 Thanks to our exclusive Aquaform® Technology, Biofinity® lenses allow plenty of oxygen to pass through to your eyes. Many enjoy the convenience of a daily disposable lens like Fresh Day®. As no cleaning is required, simply toss away on a daily basis. My Day™ is the latest in silicone hydrogel technology offering even less awareness of the lens. The MyDay lens is wonderfully soft – softer than other silicone hydrogel, daily disposable lenses – yet they’re easy to insert and remove. 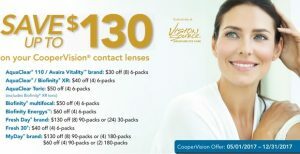 After purchasing your Aqua Clear®, Biofinity®, Fresh Day®, or MyDay® contact lenses from a participating Vision Source® optometrist, download this rebate and follow the instructions in order to receive your Visa® Gift Card. See rebate for details.